AHAA: The Voice of Hispanic Marketing is pleased to announce that Brian Terkelsen, CEO of MediaVest USA, will deliver the opening keynote address at the 2015 AHAA Annual Conference, taking place in Miami from April 27 to 29, 2015. 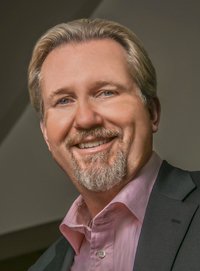 With a strong reputation for innovation, Mr. Terkelsen has received numerous accolades, including Advertising Age’s Media Maven in 2008 and Adweek’s Media ‘All Star’ honor in 2011, and has led Starcom Media Group (SMG) to win Agency of the Year by Adweek in 2013. At MediaVest, Mr. Terkelsen leads a team of 1,000 to create consumer experiences for brands in today’s fast-paced, always-on environment. In his short tenure, he has added $1.5 billion in billings in new business and organic growth, including American Honda Motor Company, Mondelēz, Tri-State Honda, Travelers Insurance, Converse and most recently, Brown Forman and Bloomin’ Brands. Since joining SMG in 2003, Mr. Terkelsen has built the agency’s branded content practice connectivetissue, which evolved into LiquidThread in 2010. As a result of his leadership, SMG is the only media agency to have won Cannes Lions in the Branded Content category. In 2012, SMG won a Gold Lion for LiquidThread’s work with Kraft Wheat Thins and “The Colbert Report,” and in 2013, SMG won a Silver Lion for Pedigree and “Annie: From Shelter to Stage.” A familiar face in Hollywood and an entrepreneur, he has been in the entertainment marketing industry since 1992, when he co-founded Eco-Challenge Lifestyles, Inc. with Mark Burnett, serving as an Executive Producer for numerous productions of Eco-Challenge on MTV, ESPN and Discovery. The 2015 AHAA Annual Conference is delivering a powerful roster of C-Suite leaders and notable trendsetters of the industry: Rick Gomez, Senior Vice President of Marketing, Target; Peter Hall, Senior Vice President of Marketing for HEINEKEN® Americas; Jim McNamara, Chairman of Panamax Films and Pantelion Films; Bob Pittman, Chairman and CEO of iHeartMedia, Inc.; Emmy®-nominated host of National Geographic Channel’s hit TV series Brain Games and creator of viral short film series Shots of Awe, Jason Silva; Ravi Rajcoomar, CMO of Six-Speed; Jonathan Stern, VP/head of business development for Fusion TV; Jennifer Lukas-Bourgeois, principal, Ti22 Marketing; and Joe Jarvis, creative copywriter.